One new reason why Stadium is our favorite MRT Station to alight is the Singapore Sports Hub Library which we recently uncovered! 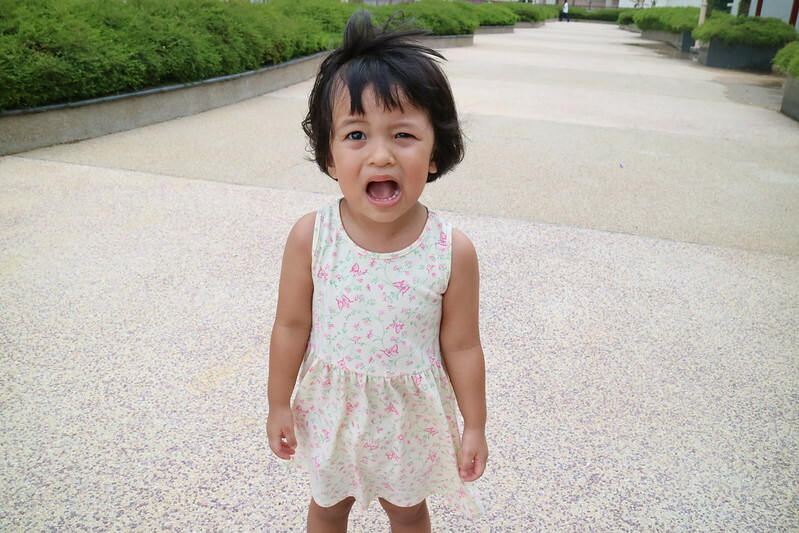 The library is located just in front of the MRT exit, next to the Kallang Wave Mall. 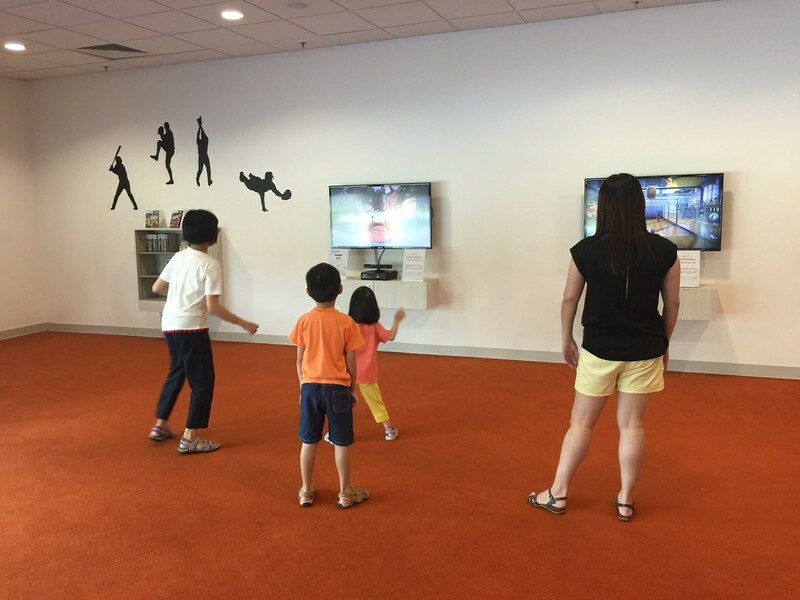 There are two levels to the library, where level 1 at the Sports Hub Library is designed to be the interactive and activity space for the Library programmes and level 2 houses the Library’s collection. Have a game of Subbuteo football with a friend. These games can be played with two players and it looks rather fast paced as both players must be constantly eyeing their players and moving them strategically in order to score and defend the opponents. Challenge your friends at a virtual sports game at the V.Sports (X Box Stations). 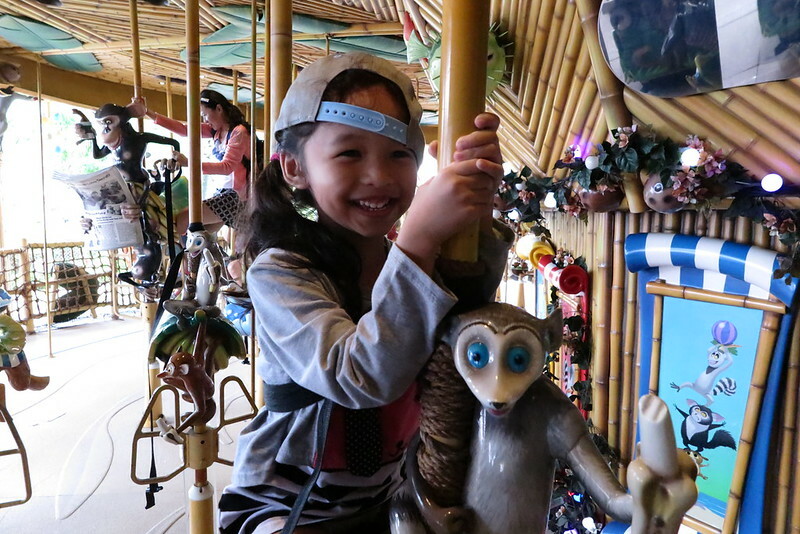 There are quite a good range of games available for you to choose, booking for these game stations can also be done online for their registered members. 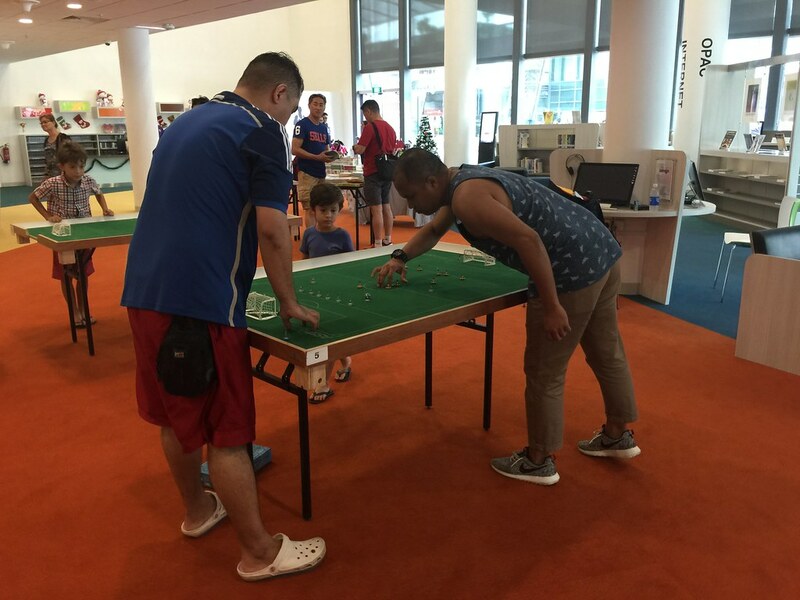 Membership is free for Singaporeans and is not the same as the membership at our National Library, so you got to head down to Sports Hub Library for registration. 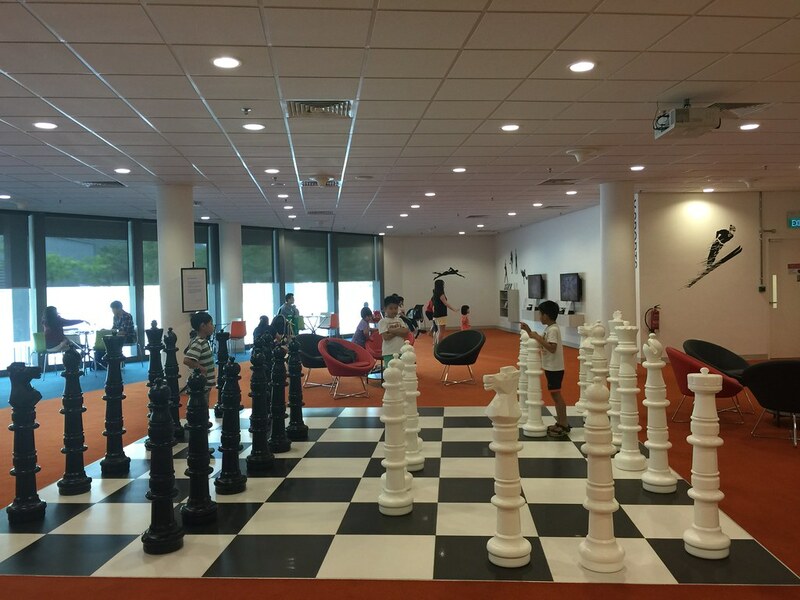 Play a game of wits at the giant chess set. This looks so fun! Hope I’ll have a chance to play this one day with a real opponent. Been so long since I played a game of chess. For this, booking can also be done online. 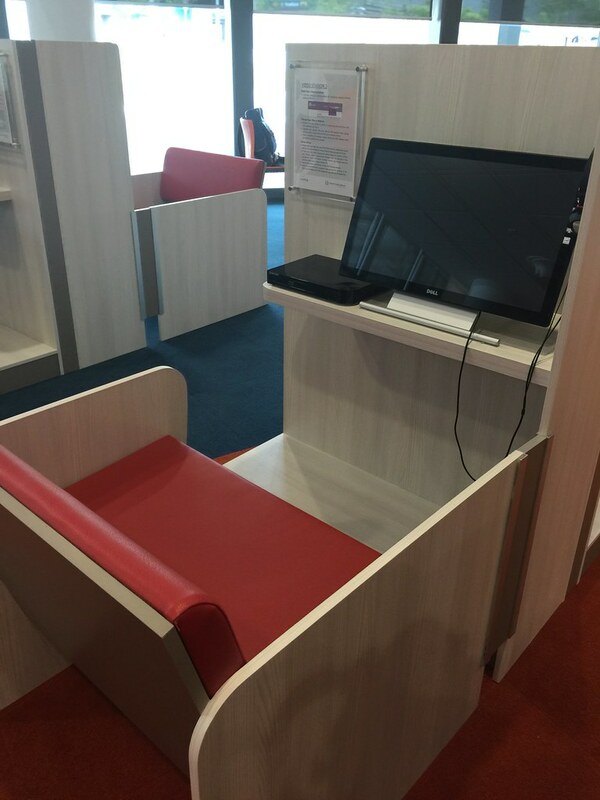 There are many computer stations around Level 1 of Sports Hub Library for members to use. Booking is required over the counter. Video stations for you to watch your favorite DVDs available for loan at the library and there are 9 of such cosy video stations. 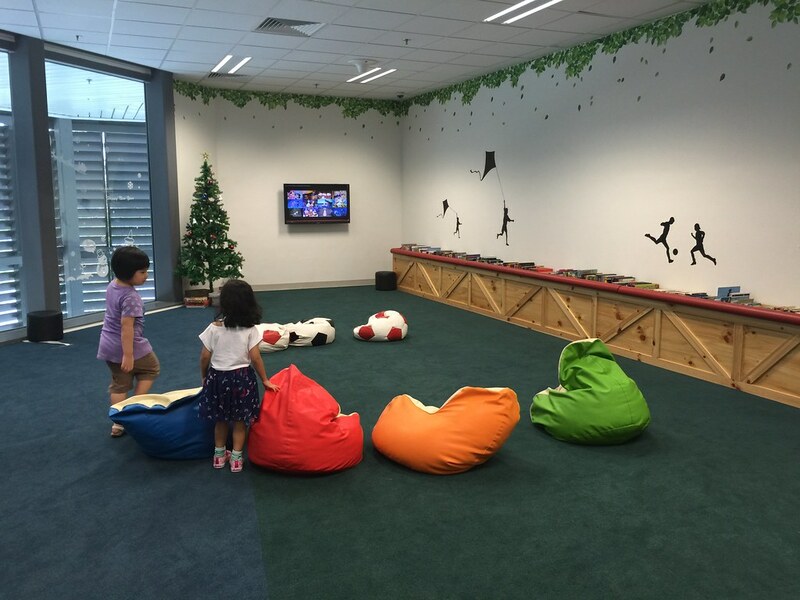 Kids corner at level 2 of the Sports Hub Library, the library focuses on sports and wellness and their collection of children books are all on related topics too. Though the collection is small, but the books are great for sports enthusiastic kids. 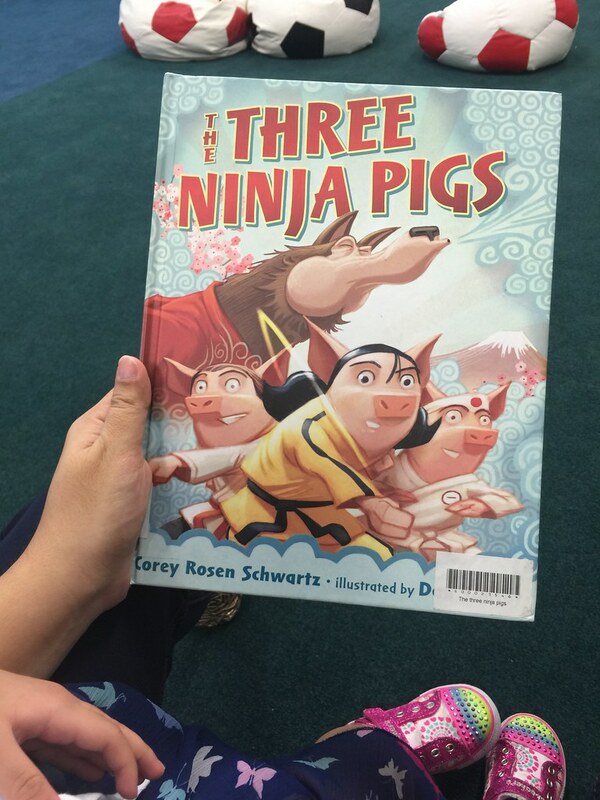 Check out the book we read together! A twisted tale of the three little pigs. Even I enjoyed reading it with Ayra. 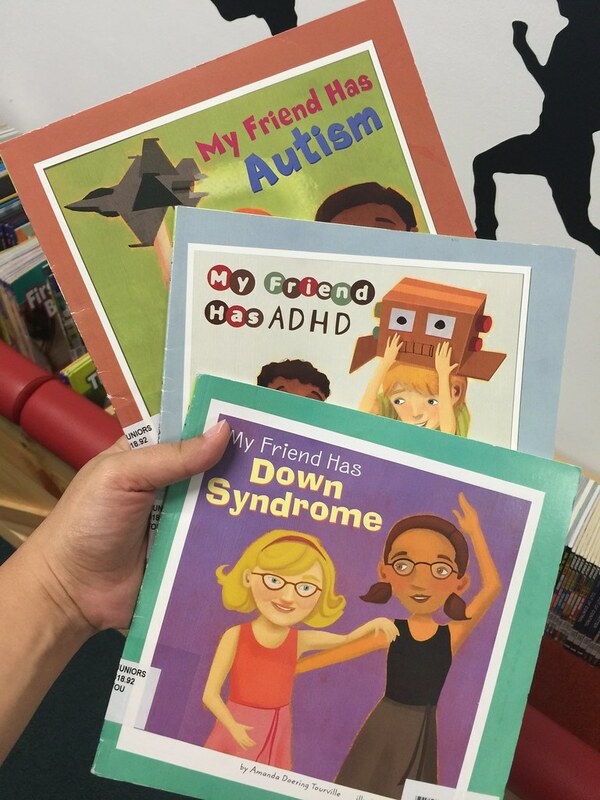 I found this series of books to teach kids why some friends behave differently and how we can be their friends. I like how the books are arranged here, kids can freely browse through and pull out the books to see the cover. 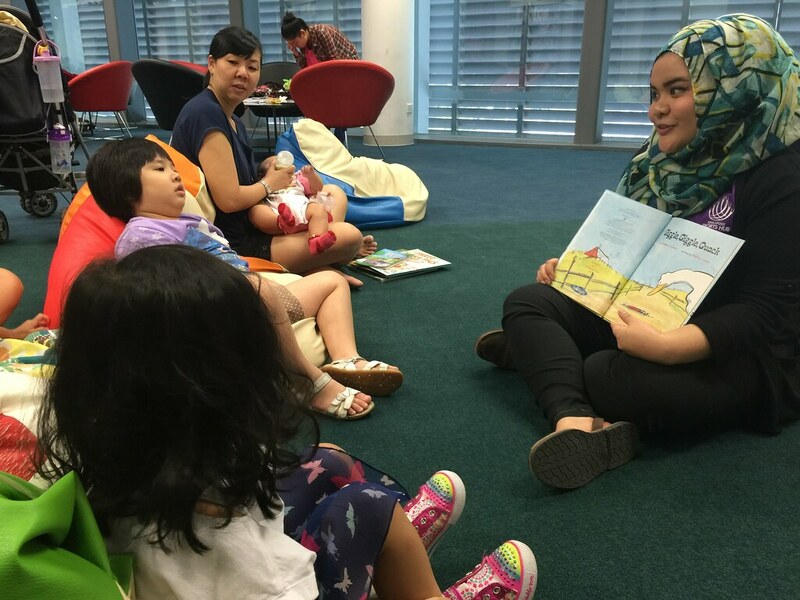 There’s also story telling sessions at the Sports Hub Library, happening on the first and third Sundays of the month. The time is around 2.30pm to 3.00pm, depending on the crowd that day. 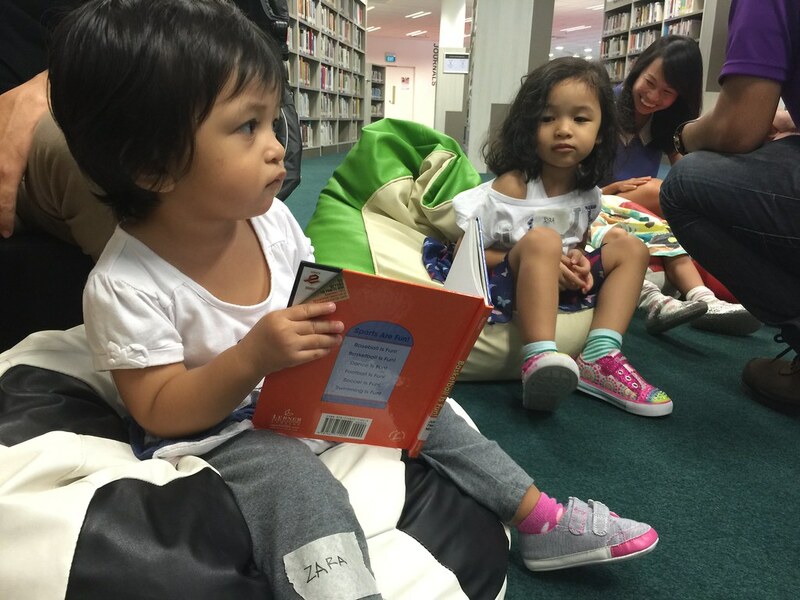 I say, go take a break at the Sports Hub Library one Sunday and enjoy the engaging story telling by their librarians. 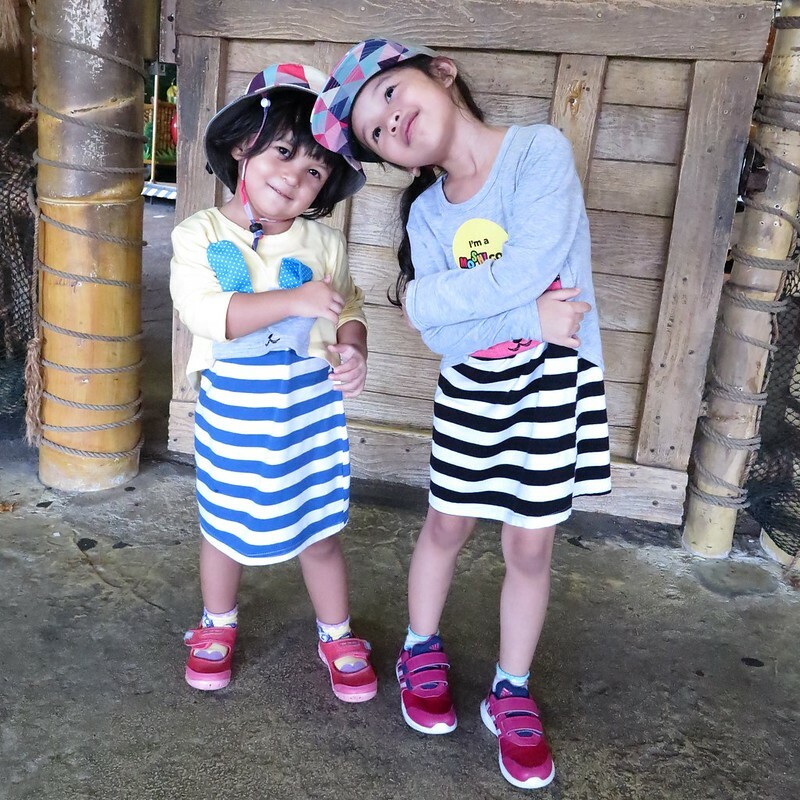 Both my girls sat through 2 out of 3 of the stories told that day, not bad for a 3yo and 1yo toddler. Find out more about the Sports Hub Library here. Yes we’ve been! It’s quite cool I must say but sobs the storytelling in the middle of the afternoon when my kids are napping. Hope to return some time soon. It’s a cool place to hang! 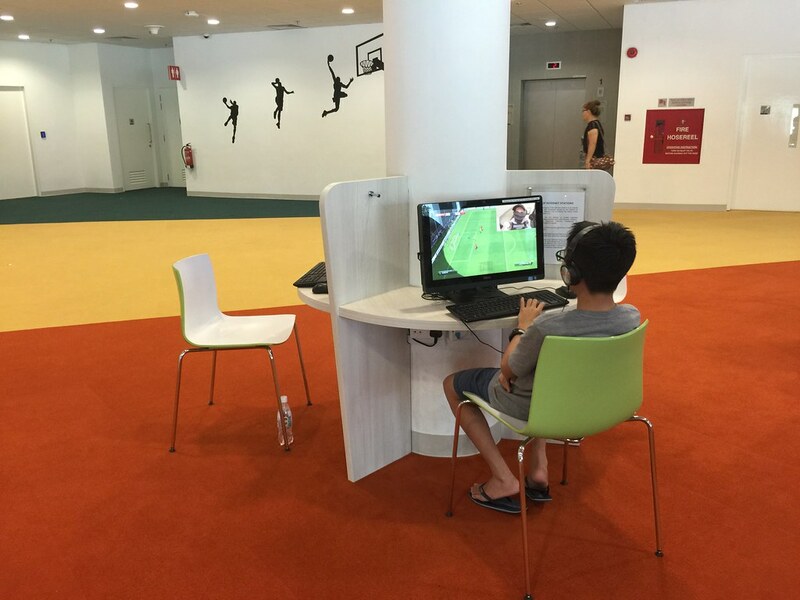 Have been to the Sports Hub a few times, but did not know they have such a happening library! We haven’t visited this library yet. It is on my to-go-list! 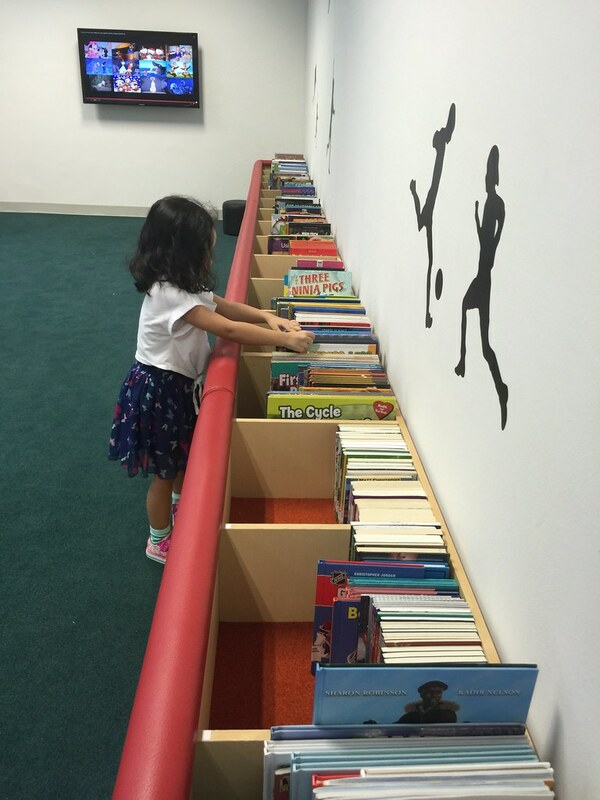 I am always VERY proud of our libraries and this one at the Sports Hub seem to be built for kids in mind! How awesome! Thanks for sharing 🙂 We are so blessed to live in a country who invests in reading resources to build literacy and promote life long learning.